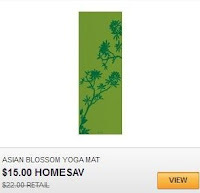 If you haven't signed up for HomeSav yet, you can get a $10 credit when you do. 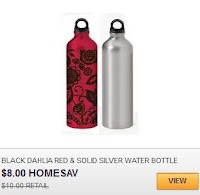 You can use that credit to score 2 aluminum water bottles for FREE or get a nice yoga mat for just $5.00! The bottles are on sale for $8 and the mat is $15. Shipping is an additional $7.95, but you can use your credit to pay for it!